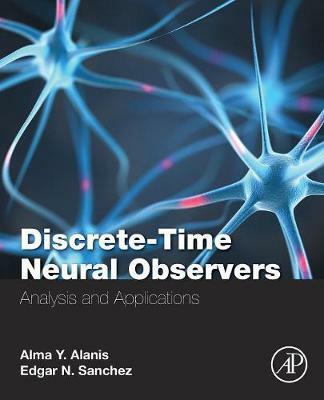 Discrete-Time Neural Observers: Analysis and Applications presents recent advances in the theory of neural state estimation for discrete-time unknown nonlinear systems with multiple inputs and outputs. The book includes rigorous mathematical analyses, based on the Lyapunov approach, that guarantee their properties. In addition, for each chapter, simulation results are included to verify the successful performance of the corresponding proposed schemes. In order to complete the treatment of these schemes, the authors also present simulation and experimental results related to their application in meaningful areas, such as electric three phase induction motors and anaerobic process, which show the applicability of such designs. The proposed schemes can be employed for different applications beyond those presented. The book presents solutions for the state estimation problem of unknown nonlinear systems based on two schemes. For the first one, a full state estimation problem is considered; the second one considers the reduced order case with, and without, the presence of unknown delays. Both schemes are developed in discrete-time using recurrent high order neural networks in order to design the neural observers, and the online training of the respective neural networks is performed by Kalman Filtering.